Messrs Motte & Bailey, purveyors of lumber and coal, established themselves along the Milwaukee Road tracks soon after the line reached Agincourt. Bailey, the silent partner, never lived here, but Chester T. Motte managed the business locally from the late 1870s until it was sold to the Sawyer family about 1910. Motte’s delightful home at #418 West Agincourt Avenue was built in 1886 or 1887, shortly after he married, and remains largely intact, as fine an example of the “Shingle Style” as the Tennant home seven blocks east, by Chicago architect J. Lyman Silsbee. 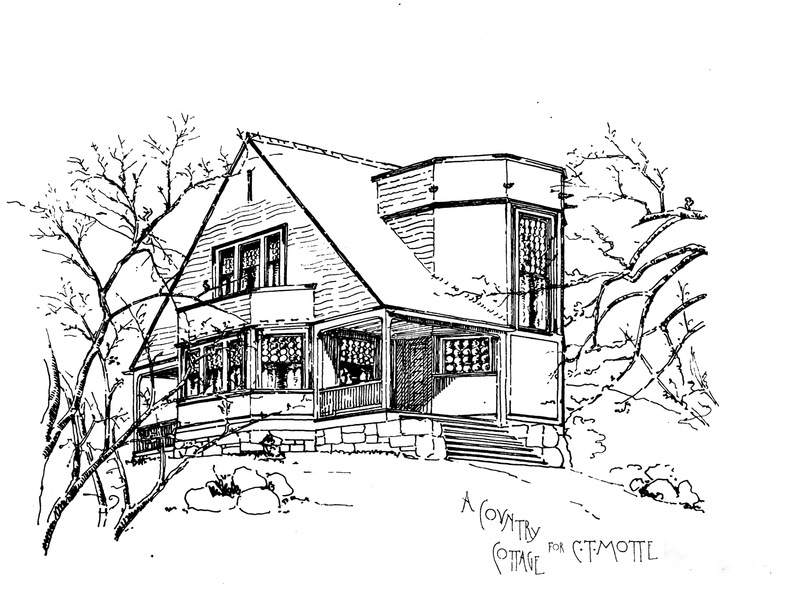 Though he wasn’t trained in the field of architecture, Chester Motte designed several buildings (at least he’s credited with them) throughout Fennimore county and slightly beyond. Lumberyards often served that purpose in the years following the Civil War, as the profession of architecture began to distinguish itself from the building trades; using plan books or catalogues as sources. Illinois became the first state to acknowledge the architectural profession in 1899, though Iowa did not follow suit until 1926. There was little guarantee, however, that the use of the title “architect” was linked to the quality of the work. In Motte’s case, his designs generally exceeded expectation. Someone ought to undertake a study of his design output. By agincourtiowa in Uncategorized on Saturday/13/October/2018 .